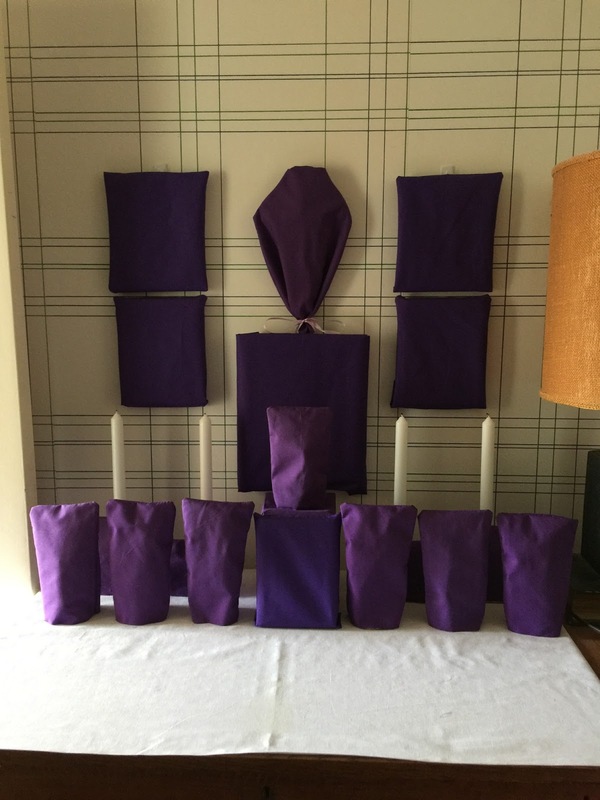 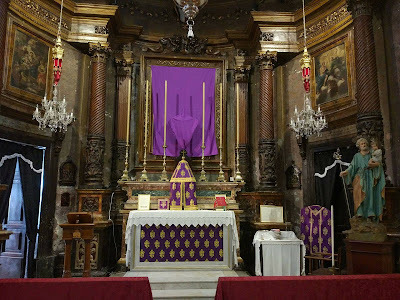 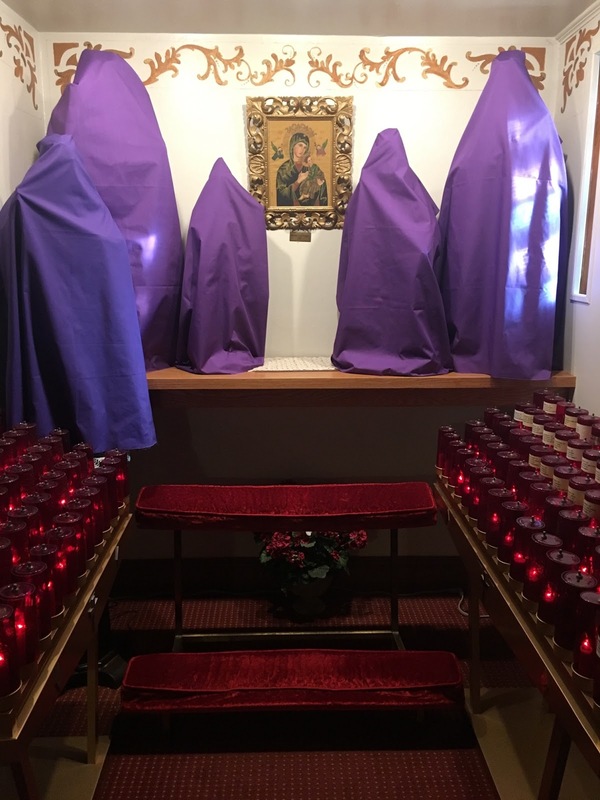 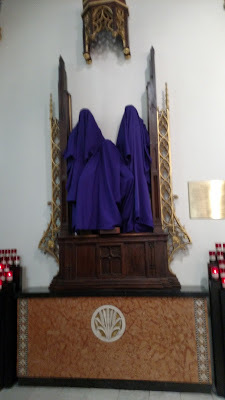 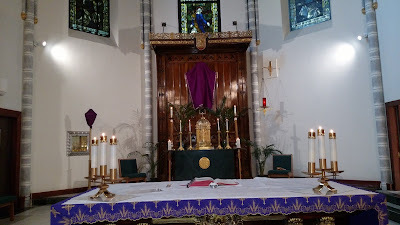 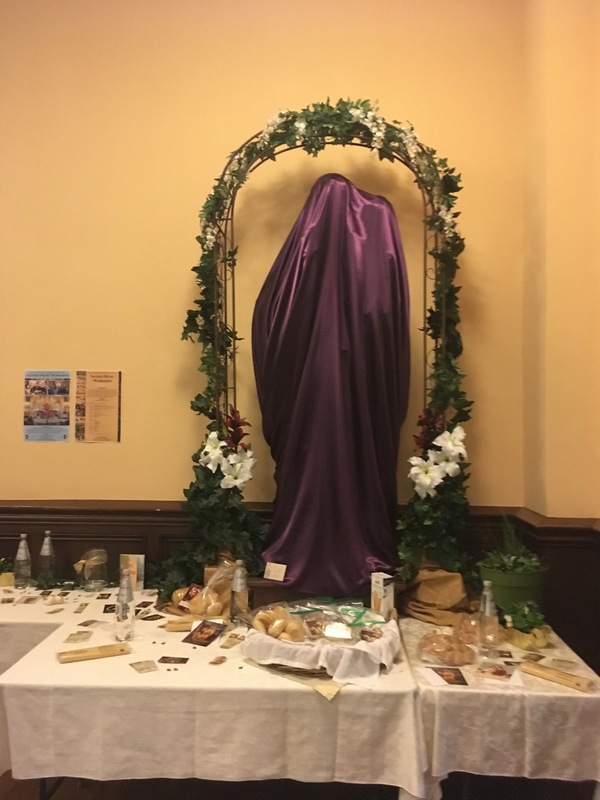 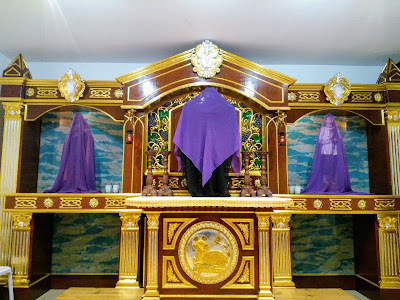 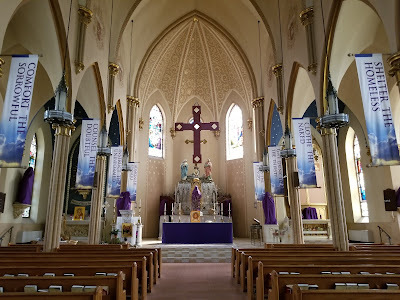 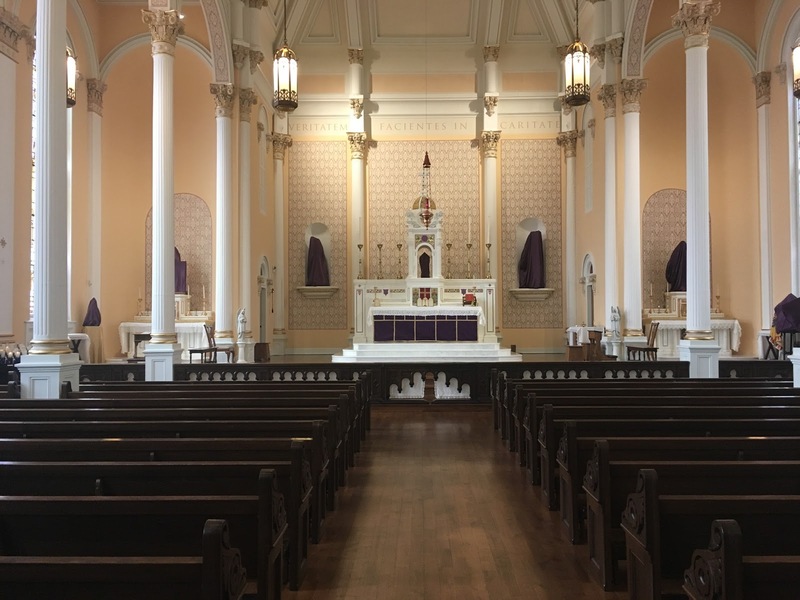 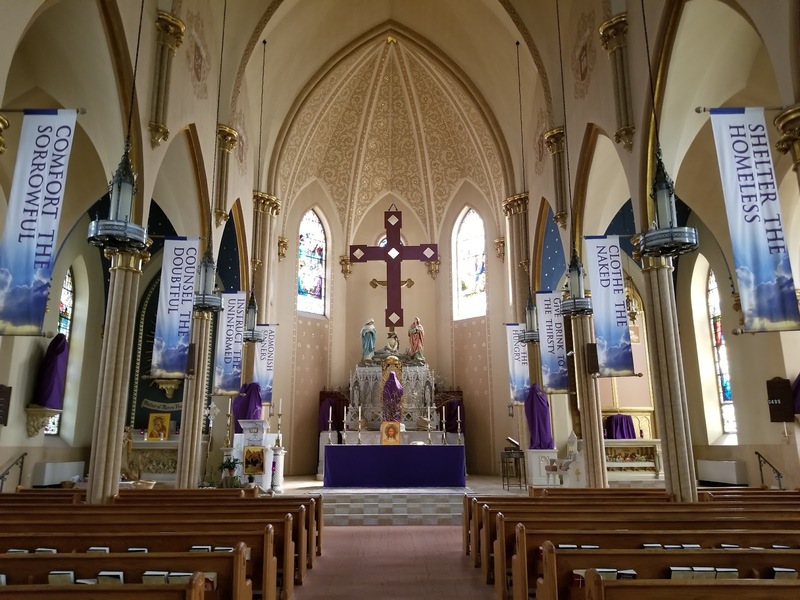 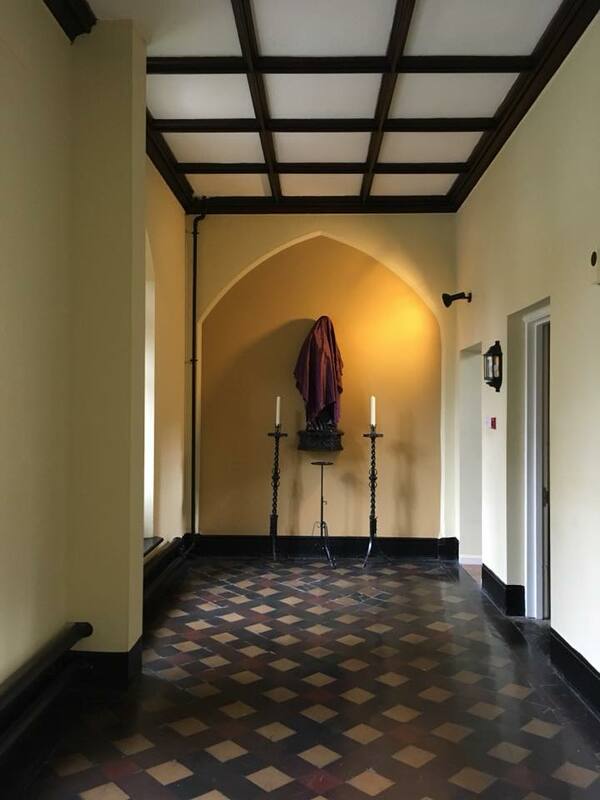 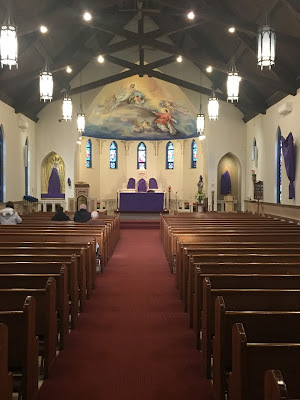 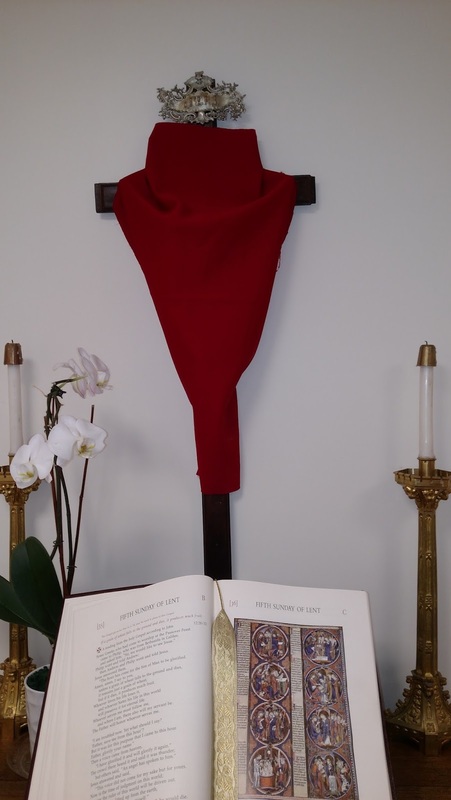 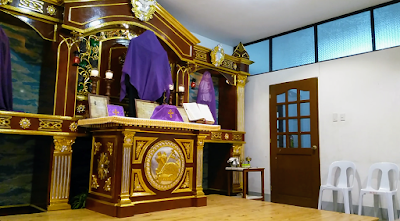 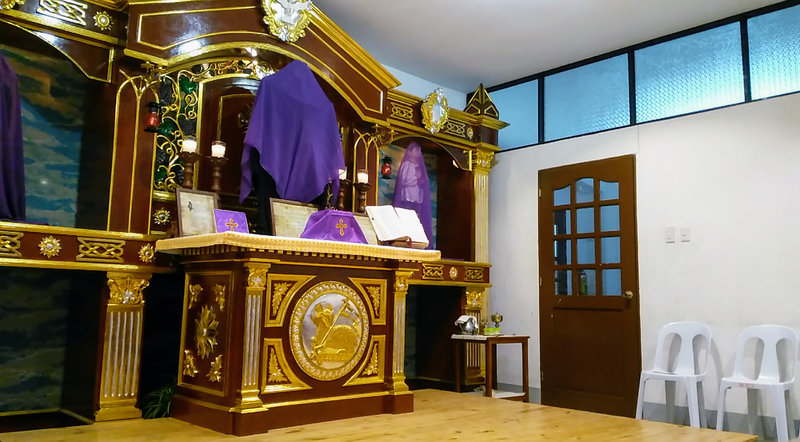 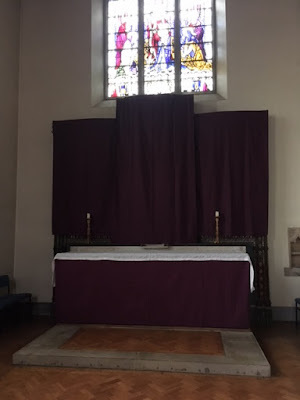 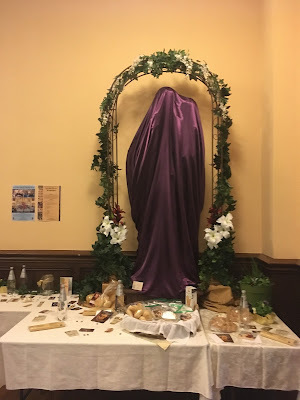 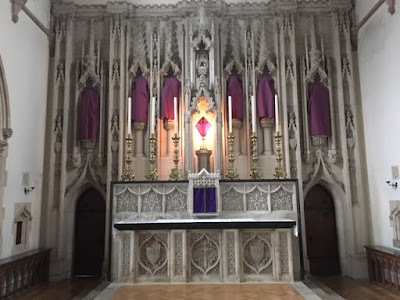 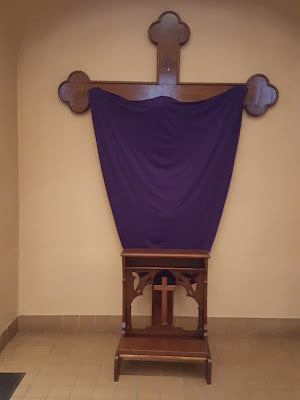 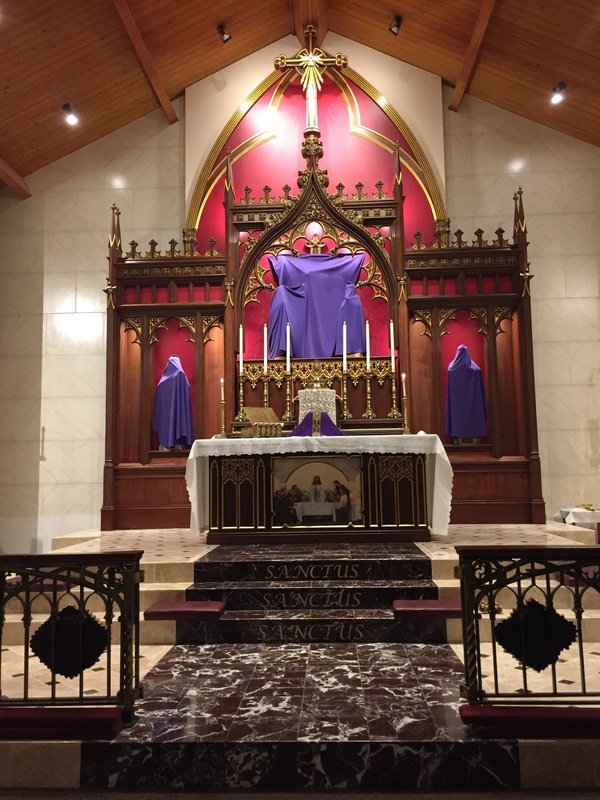 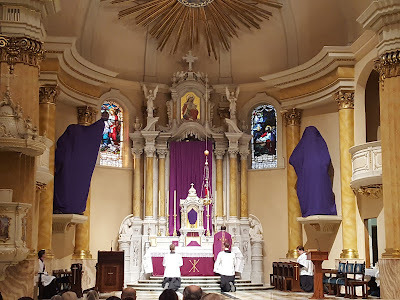 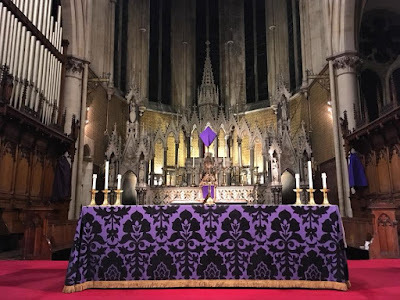 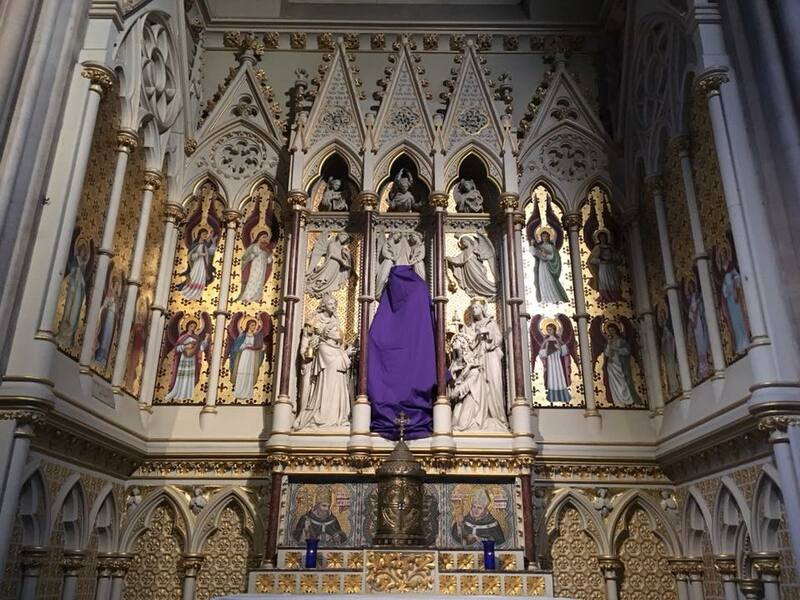 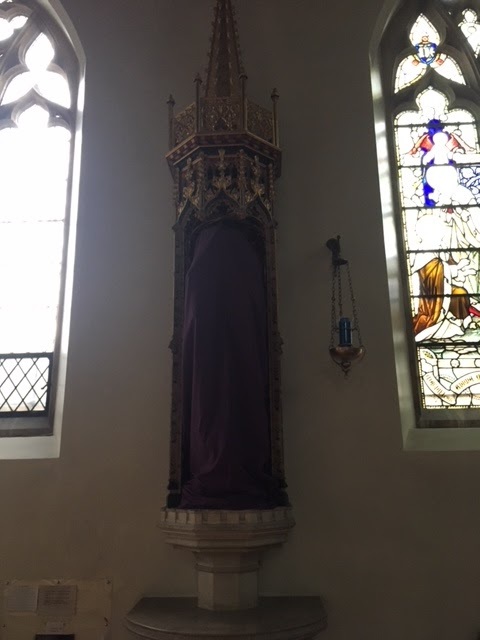 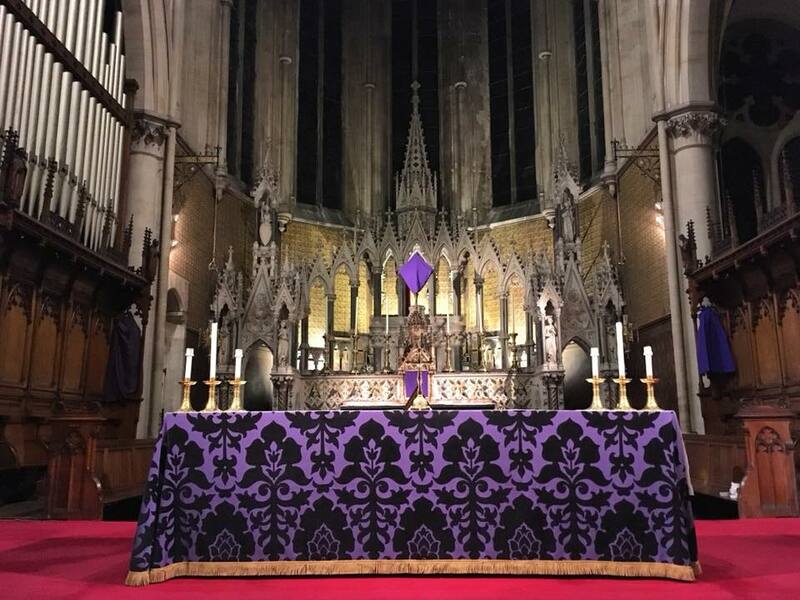 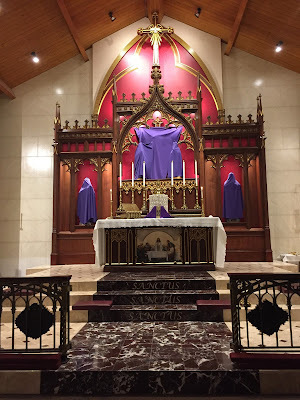 For the third part of our Passiontide photopost, we begin with something we rarely see nowadays, but which was very common in the Middle Ages. 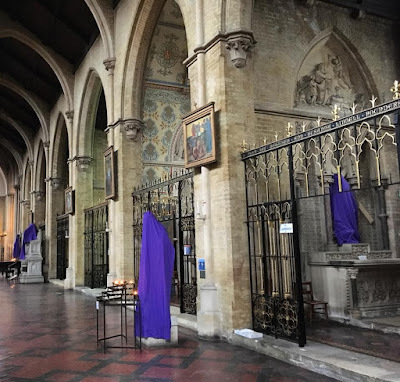 The doors of this triptych are closed to hide the images inside it at the appropriate season; in the medieval period, this was often done not just for Passiontide, but the whole of Lent. 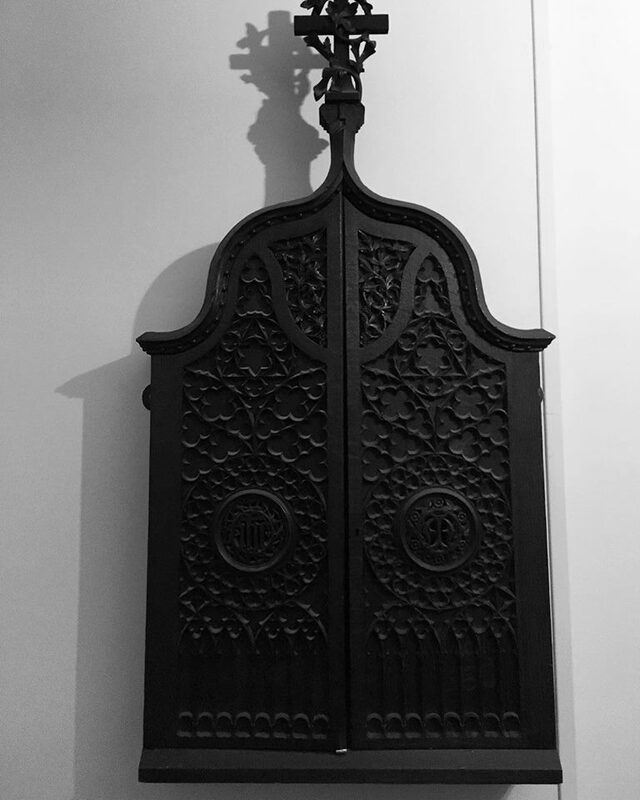 Many medieval altarpieces with closeable wings have a black and white picture of the Annunication on the outside of the doors, (usually St Gabriel on the left, and the Virgin Mary on the right), since the feast usually occurs in Lent. 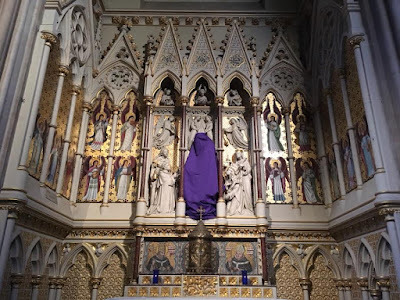 This comes from the Dominican Shrine of the Holy Rosary in London, courtesy of Fr Lew. 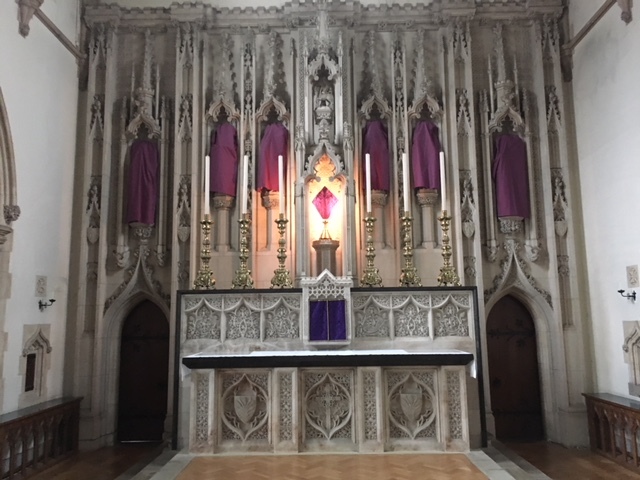 White on the altar for St Joseph’s day.